Waste Stream Management is focused on the future and committed to the environment. As such, a primary Company objective is to recycle as much product as possible to minimise the level of waste going to landfill. The company offers an incentive pricing system for all clean concrete which is then recycled on site for use into road base. 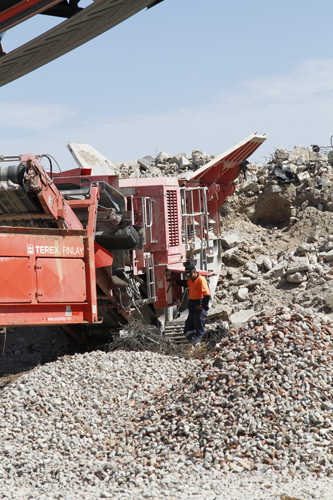 Bricks and tiles are similarly crushed on site for reuse in road base and steel is removed from fill and transferred to a metal recycling plant.